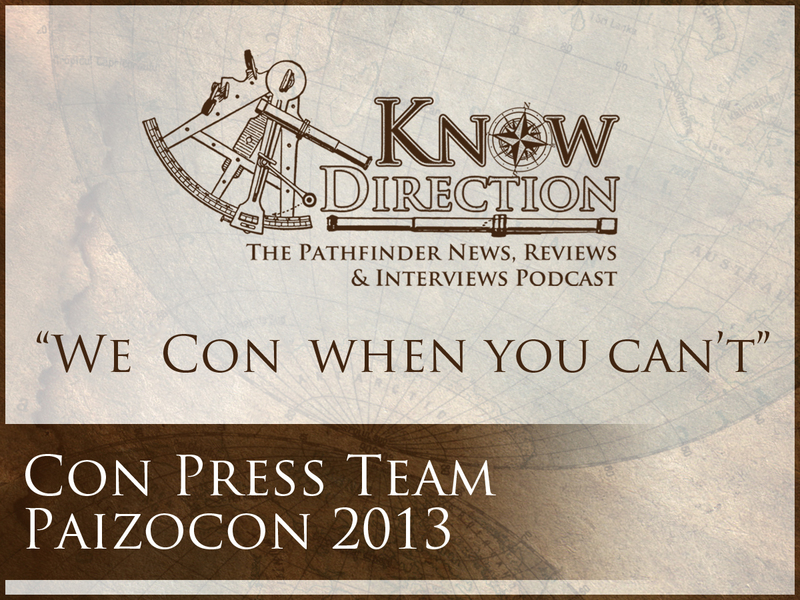 Know Direction’s PaizoCon 2013 coverage! Know Direction’s PaizoCon 2013 coverage was made possible by the KD PaizoCon 2013 Con Team, including Mitchell Anderson, Sarah Bull, Darran Caldemeyer, Venus DeCoy, Robyn Nixon, and Justin Sluder. Huge thanks to them for all the help. If you like this special, check out 35privatesanctuary.com for more recordings from this and previous year’s PaizoCon, check out the Know Direction YouTube channel for seminar videos, and don’t forget to visit our sponsor at chimeragames.ca.